As will already be obvious, I’m involved in converting to EM, a fairly substantial fleet of rolling stock. Here you can see two proprietary RTRS wagons from Bachmann, both of which were rather painlessly converted to EM, chiefly through removing a couple of strengthening ribs behind the axle guards. The first one is a very standard BR Diag. 1/108. 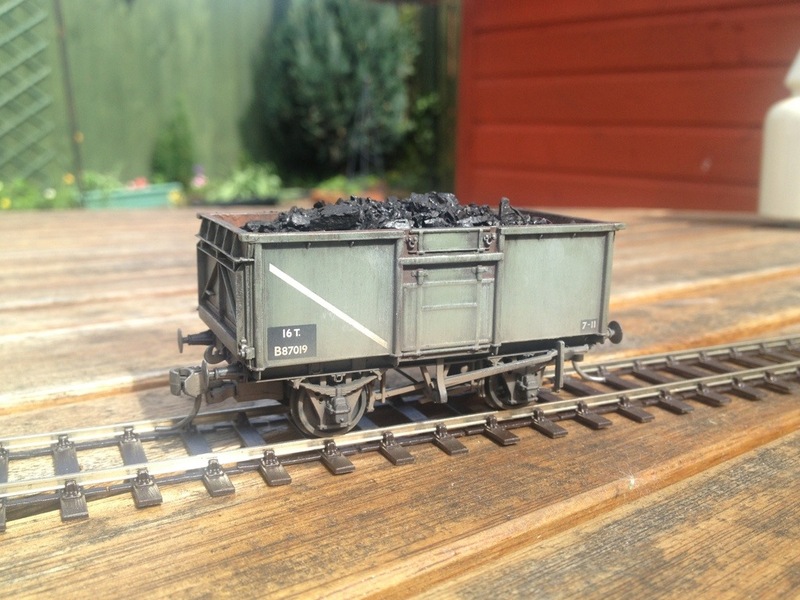 This one is intended for use in my 1956 modelling period when these vehicles were essentially new so I have been very sparing on the weathering here. predecessor in terms of general use, the ubiquitous RCH wooden-bodied mineral, operated pre-war by countless private owners. This private fleet was put into national pool service in the Second World War and that’s pretty much how it stayed afterwards with the wagons becoming part of the general pool of British Railways wagons, with the erstwhile owners being compensated by the government. 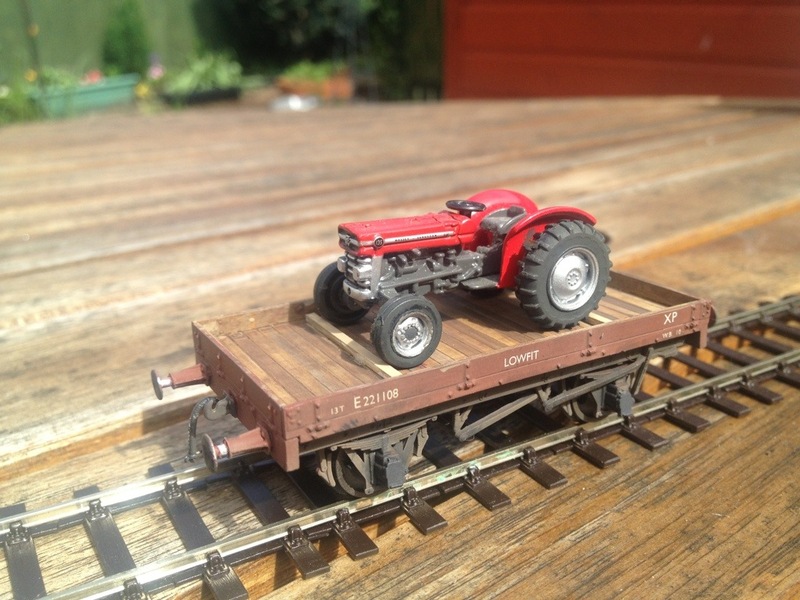 This model portrays one such wagon as it would likely have looked in the mid-1950s. Still wearing remnants of its original livery but with over a decade and a half’s hard service in harsh, austere conditions, running repairs being as much TLC as could be spared. The vehicles were in a pretty shocking state by 1958 when BR finally grew sufficiently ashamed of their condition to sanction repainting into unfitted grey for the survivors. Five years later most were gone anyway replaced by steel vehicles. 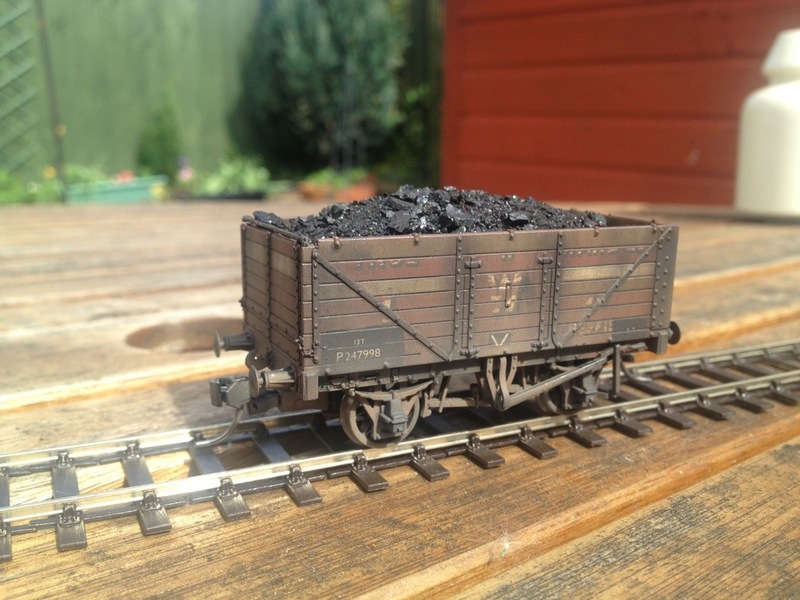 This model, using an already part-weathered Bachmann wagon from a special set of three, represents the typical appearance of a pre-’58 vehicle! 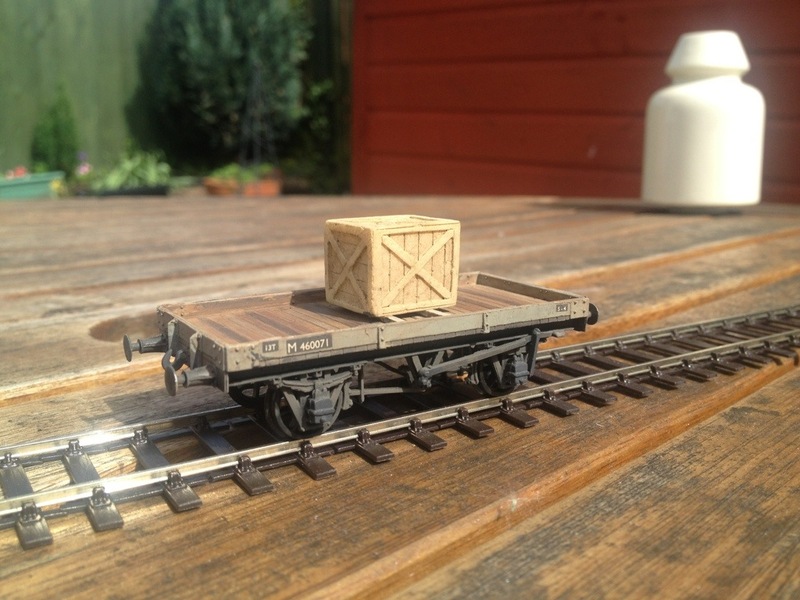 I’ve also been busy with a couple of kits; the Cambrian LMS Diag. 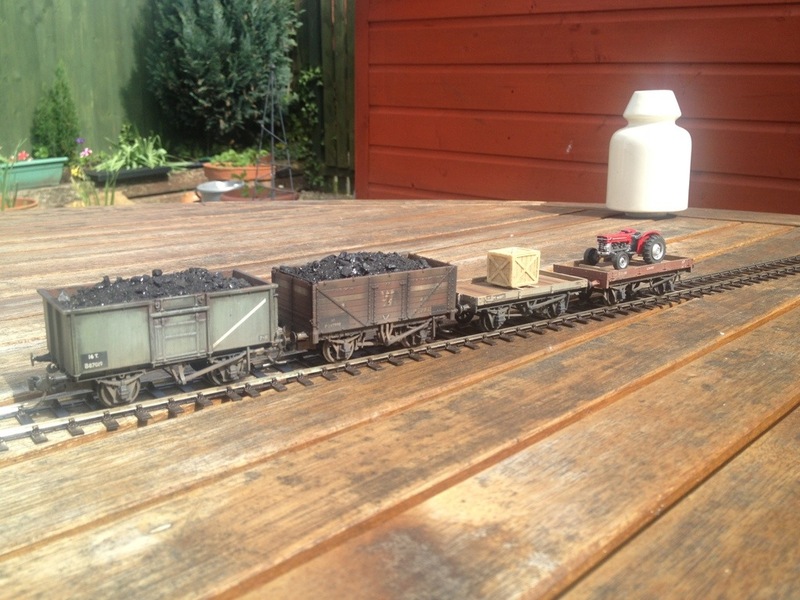 1986 single plank wagon and a Parkside LNER Diagram 109 Lowfit. The Lowfit is intended for my mid-1960s era of operation, thus explaining the load, a 1964 MF 135 tractor. This is one of a group of five which will run together in a class 4 or 6 service between Kingmoor and Millerhill. 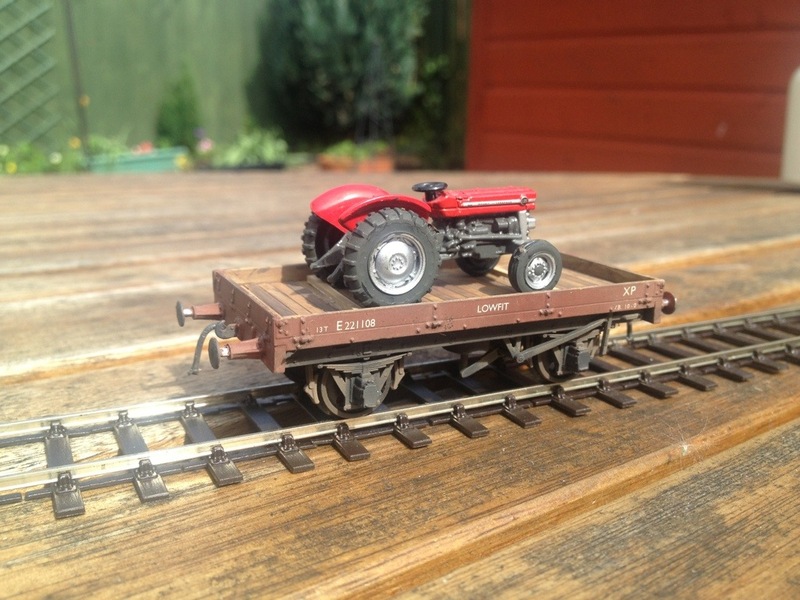 The tractor itself still needs some detail refinements and the addition of ‘restraints’ to keep it secure on the wagon. The 1986 is intended for the earlier scenario but it has to be said, they all look rather good standing together on the ‘photo’ track! Nice work Dave, what make is the MF 135? I wouldn’t mind a model of one of them, my Grandad owned a 130 which I got to drive (with assistance and under supervision!) as a toddler – happy days…. I got these about six years ago Chris. They were actually key rings from an agricultural suppliers. I found them in a random trawl of the net, believe it or not!